Do you have photos taken at Mobile Pro Studios? Please email your photos here and I'll post them. 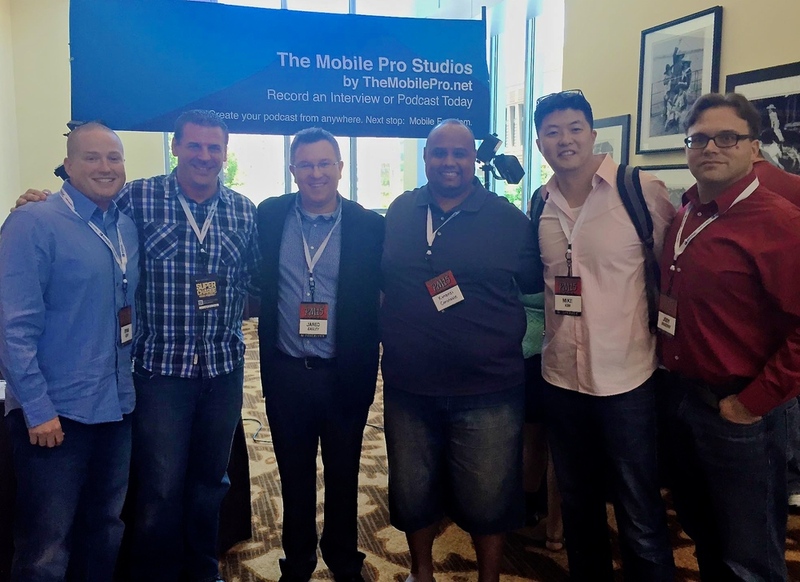 Want to share your Mobile Pro Studio experience with others? Give your testimonial here. Thanks for visiting! 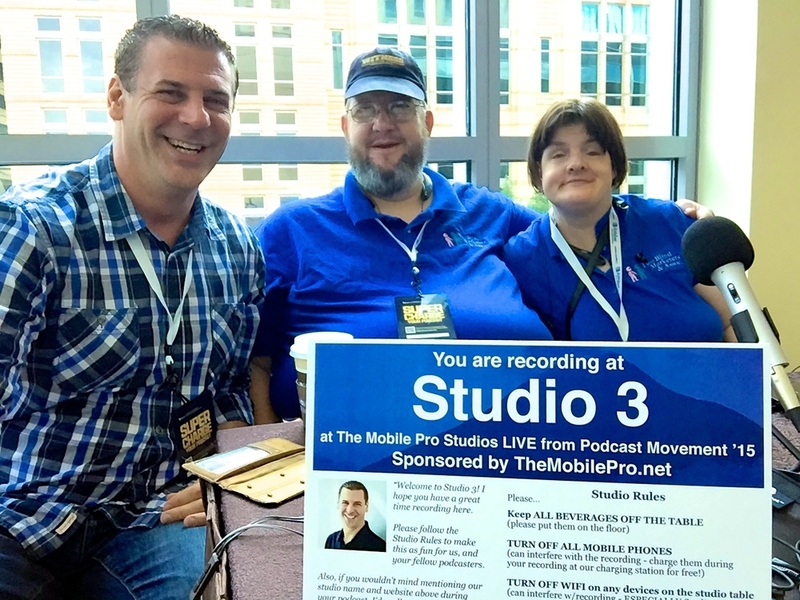 To check out photos from The Mobile Pro Studios at Podcast Movement '15, scroll down. This short video shows our main project in our mission work: Installing high-efficiency stoves in children's homes with dirt floors, who's moms are cooking over open fires. In June & July, we installed 126 stoves, serving over 500 people. 50% of your raffle donations went to support this work - Thank You! More about our mission work here. 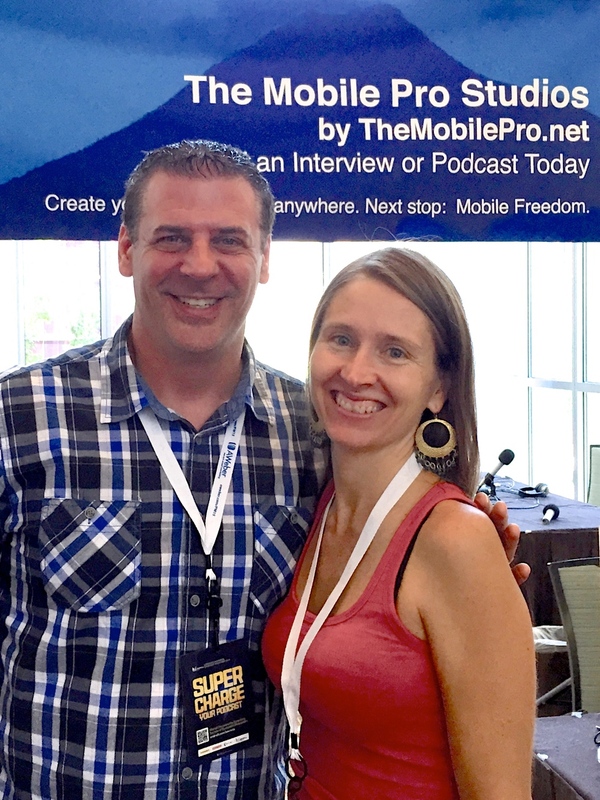 Join my Mailing List and get my FREE Mobile Pro Podcast eBook! 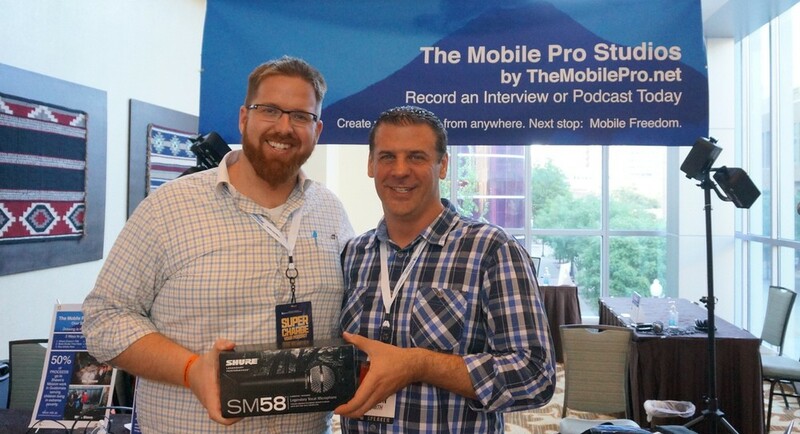 Get equipment from the 5 Mobile Pro Studios - see my Gear Guide. 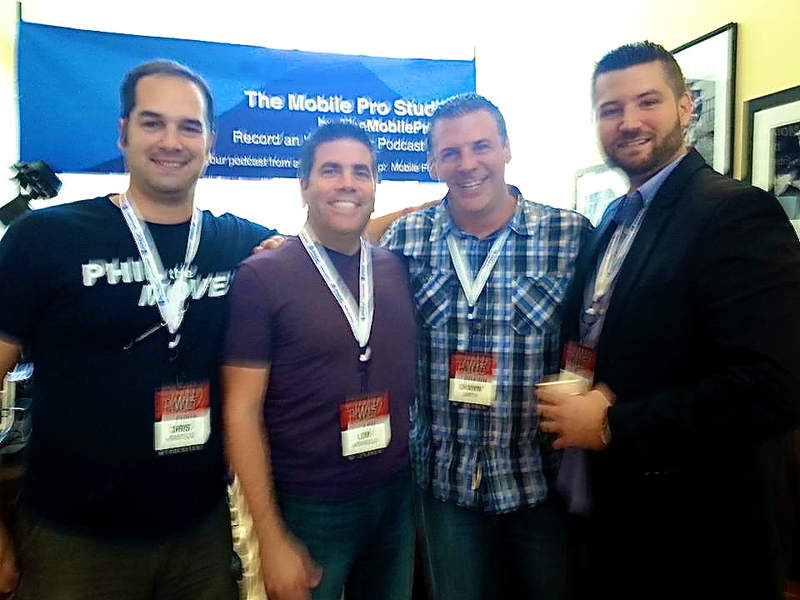 Earn 50% Commissions - Become an Affiliate of The Mobile Pro. Thanks for visiting. I hope I can equip YOU to create YOUR podcast from anywhere, and help you take your next step towards Mobile Freedom! p.s. We raised several hundred dollars at our Mobile Pro Studios raffle to help children living in extreme poverty in Guatemala. More about our mission work in Guatemala here. Also, check out video in the sidebar. Michael Neeley from the Consicously Speaking podcast and MichaelNeeley.com and his guest from Clammr.com. Michael and Teresa Blaes of TwoBlindMarketers.com - recorded 2 episodes of their podcast here at Studio 3. I was honored to be their guest! I was THRILLED to discover that the BossJock Studio app that I recommend was ported for Teresa's special touch screen, so she can podcast on her iPhone! Jennifer Kaufman of The Delightful Life interviewing her guest, author Matt Ham. Jennifer recorded SEVERAL episodes of her podcast throughout #PM15! After using my Mobile Pro setups she said, "I'm convinced!" She was having a blast! I finally squeezed in some studio time to record an episode of my upcoming podcast, "The Mobile Pro Show" (tba in Sep) - It was an honor to interview my productivity hero, Erik Fisher of beyondthetodolist.com! Jonathan Oakes host of TrivialWarfare.com brought together the best sportscasters for a head-to-head trivia battle at Studio 5 - with Nick Seuberling, Corey Fineran, Pod Vader and Ramona Rice - can't wait to hear this episode - they were BRINGING IT! I love this shot of Nick Seuberling- the agony of defeat ;-) Great sports all of you - thank you! Joshua Sheats of RadicalPersonalFinance.com interviewing Cliff Ravenscraft from Podcastanswerman.com. Joshua was one of my first clients, and purchased SetUp 5 from my ebook and video training, and conducted interviews all weekend at one of my tables (where he recorded 16 interviews in 3 days!). This is a teacher's dream come true - when someone takes action on your advice and training, and it produces fruit! Joshua Sheats of Personal Radical Finance interviewing James Kinson of CashCarConvert.com. 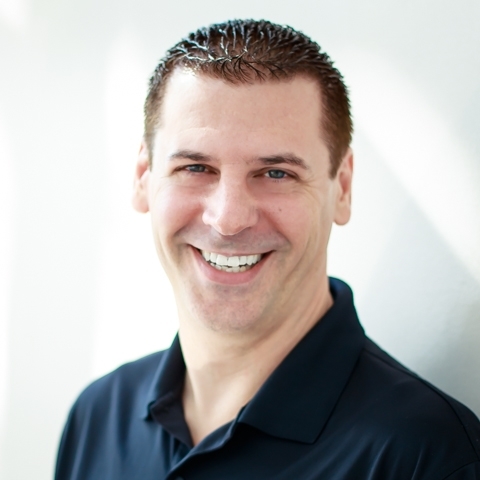 Joshua recorded over 16 interviews in 3 days using SetUp #5 from my ebook and video training course about Mobile Pro Podcasting. Talk about taking action! The Incomparable Jaree Freeman of ConnectEPIC.com. This lady is a powerhouse! So fun to finally meet folks in-person that you've followed online. As Tony Robbins says, "Power is Proximity". Jaree has been a huge online supporter and connector for me. 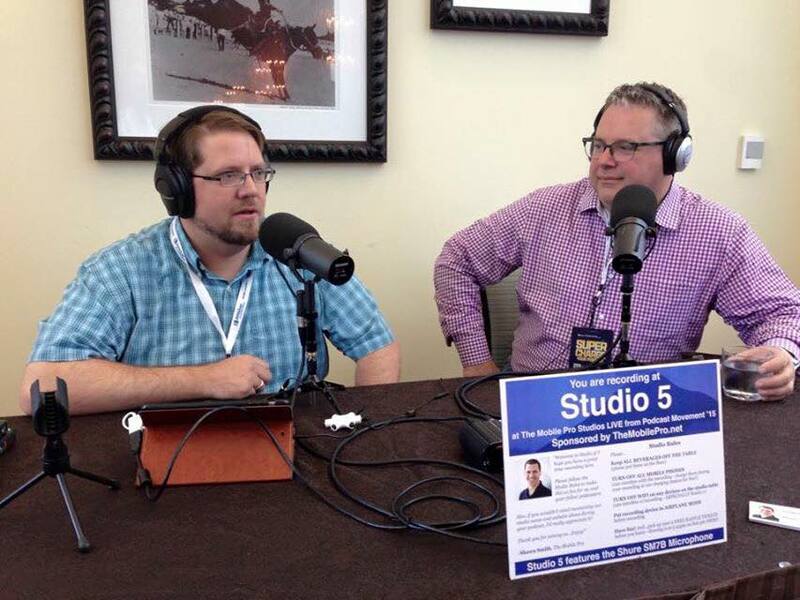 This was one of my favorite 45 min's of #PM15: Being interviewed by Michael and Teresa Blaes of TwoBlindMarketers.com. Such kind, kind people - they even prayed for me and our mission work before they left. Who does that? Two very kind, kind people. What an honor to know and work with these luminaries in Podcasting: Chris Krimitsos - Founder of Floridapodfest.com and Host of Storyjamtheatre.com; Lou Mongello - creator and host of the 9 time award-winning best travel podcast, WDWRadio.com; and John Dennis - Founder of Smarttimeonline.com. To download Hi-Rez images, click on an image below to enlarge, then Control + Click to save. 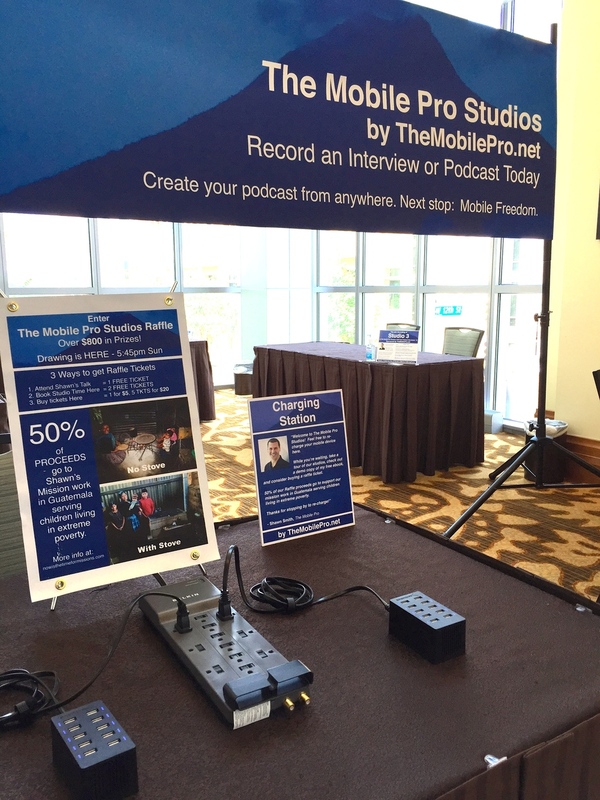 Did you record at The Mobile Pro Studios at #PM15? Please share a 1-2 sentence testimonial here, and we'll post it, along with your photo, website or podcast address! 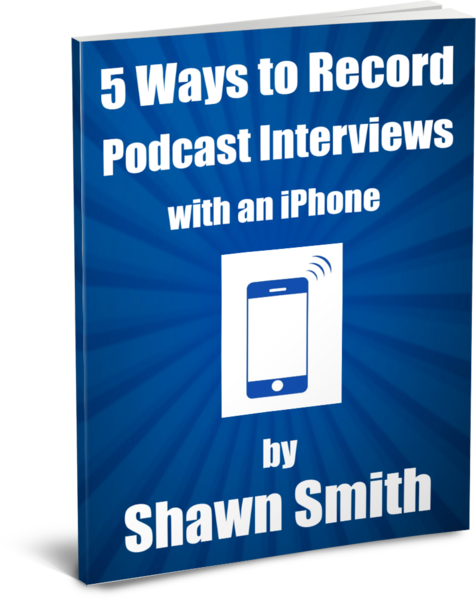 Want to earn a 50% Commission just for referring people to my $97 step-by-step video guide, “5 Ways to Record Podcast Interviews with an iPhone”? Join The Mobile Pro’s affiliate program (it’s free!). Every time someone buys my video guide based on your referral, you get a 50% commission for each paying customer (approx. $45/sale!) And...my video guide price will go up this fall, so that means even more $$ for you. Payments are automatically paid out every 2 wks! 5) That's it! Easy money! Thanks for your consideration. 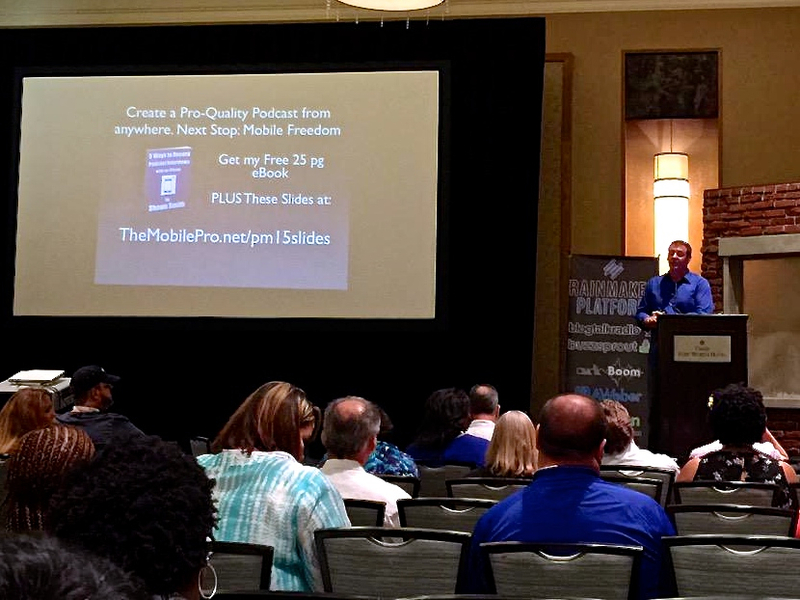 I'd love to have you as a partner to help people take their podcasting to the next level: Mobile Freedom! Joshua is referring to my step-by-step, online video training series, "5 Ways to Record Podcast Interviews with an iPhone". This is the fastest, least-expensive, and least-painful path to getting up and running recording pro-quality podcast interviews - even if you're a non-techie, or podcasting newbie. I guarantee it! In fact, if you follow the videos, you will get up and running is LESS THAN ONE HOUR!